Read the first 11 chapters online, or scroll down to purchase STARTIDE RISING. The Terran exploration vessel Streaker, crewed by 150 uplifted dolphins, 7 humans, and one uplifted chimpazee, discovers a derelict fleet of spaceships — each the size of a small moon. They appear to belong to the Progenitors, the fabled First Race who seeded wisdom throughout the stars. Bearing one of the most important discoveries in galactic history, Streaker crashes on the uncharted world of Kithrup. Above, in space, armadas of alien races desperate to possess the knowledge of the Progenitors clash in a titanic struggle to claim the right to capture the prize. Below, Streaker's crew battles armed rebellion and a hostile planet to safeguard her secret — the fate of the Progenitors. The second book in the Uplift series, Startide Rising (The Uplift Saga, Book 2), was WINNER: 1983 Nebula, Hugo, and LOCUS Awards for Best Novel. 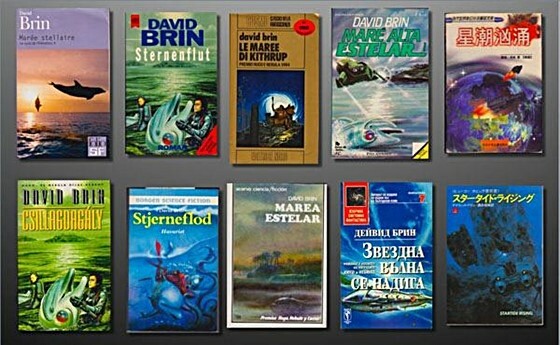 Startide Rising has been translated into Bulgarian, Chinese, Danish, Dutch, Finnish, French, German, Hebrew, Hungarian, Italian, Korean, Polish, Romanian, Russian, Spanish, and Swedish. Here are some of the covers of the foreign and foreign-language publications. how well do you know Kithrup? Here's a fan-created fun trivia quiz designed around Startide Rising. What's your score? "One hell of a novel ...Startide Rising has what SF readers want these days: intelligence, action and an epic scale." "Startide Rising is an extraordinary achievment, a book so full of fascinating ideas that they would not have crowded each other at twice its considerable length." "Brin's imagination in this novel is amazing and his rigorous scientific discipline allows for very believable postulations of technology the characters use and humanity's place in the greater galactic civilization." 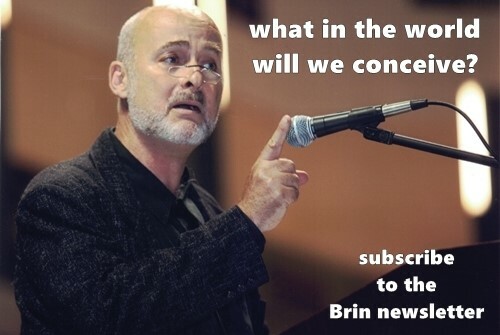 "... Brin leaves the reader thinking, 'What a great story. Tell me another!' 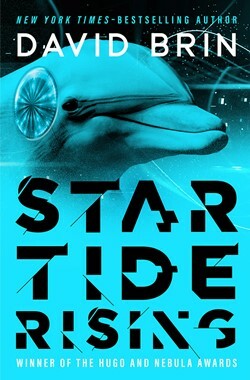 Startide Rising is Brin's best work, worthy of every award it has received. Read it, and you will be delighted and satisfied. But be warned: you will then want to read everything else he has written." "Guys, this is why I read Science Fiction. I'm a sucker for a big, thick novel with big ideas and cool galaxy spanning concepts. This book had it in spades. It's not an easy read, and it's certainly not for everyone, but it really hit all the right notes for me. It's why I consider it an Elitist Classic." "The idea of Uplift, in which intelligence is not evolved but handed down from a patron species to a client species by genetic engineering, is nothing less than brilliant: it's a concept that introduces a galactic society that is diverse, believable, and, as we come to realize, fraught with danger for us human outsiders, and one that dramatizes heady philosophical questions about the universe." "An intense ride of a book — the battle overhead, the intense interpersonal conflicts down on the planet. Brin once again brings the weird alien mysteries that I love — what exactly are the drill trees and metal mounds? He still hasn't answered 'did humanity have a patron?' and added the new one of 'who is Herbie and what is up with the derelict fleet?'" "One of the outstanding SF novels of recent years." We took a chancy jump through overdrive yesterday, a step ahead of the Galactics who are chasing us. The one probability coil that had survived the Morgran battle groaned and complained, but finally delivered us here, to the shallow gravity of a small population-II dwarf star named Kthsemenee. The Library lists one habitable world in orbit, the planet Kithrup. When I say "habitable," it's with charity. Tom, Hikahi, and I spent hours with the captain, looking for alternatives. In the end, Creideiki decided to bring us here. As a physician, I dread landing on a planet as insidiously dangerous as this one, hut Kithrup is a water world, and our mostly-dolphin crew needs water to be able to move about and repair the ship. Kithrup is rich in heavy metals, and should have the raw materials we need. It also has the virtue of being seldom visited. The Library says it's been fallow for a very long time. Maybe the Galactics won't think to look for us here. I said as much to Tom last night, as he and I held hands and watched the planet's disc grow larger in one of the lounge ports. It's a deceptively lovely blue globe, swathed in bands of white clouds. The night side was lit in patches by dimly glowing volcanoes and flickering lightning. I told Tom that I was sure no one would follow us here — pronouncing the prediction confidently, and fooling nobody. Tom smiled and said nothing, humoring my bout of wishful thinking. They'll look here, of course. There were only a few inter-spatial paths Streaker could have taken without using a transfer point. The only question is, can we get our repairs finished in time, and get away from here before the Galactics come for us? Tom and I had a few hours to ourselves, our first in days. We went back to our cabin and made love. While he sleeps, I'm making this entry. I don't know when I'll have another chance. Captain Creideiki just called. He wants both of us up on the bridge, I suppose so the fins can see us and know their human patrons are nearby. Even a competent dolphin spacer like Creideiki might feel the need from time to time. If only we humans had that psychological refuge. Time to put this down and awaken my tired fellow. But first, I want to jot down what Tom said to me last night, while we watched Kithrup's stormy seas. 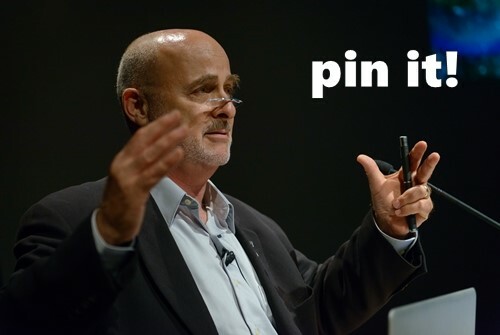 Fins had been making wisecracks about human beings for thousands of years. They had always found men terribly funny. The fact that humanity had recently meddled with their genes, and taught them engineering, hadn't done much to change their attitude. Toshio watched the small instrument panel of his seasled, pretending to check the depth gauge. The sled thrummed along at a constant ten meters below the surface. There were no adjustments to be made, yet he concentrated on the panel as Keepiru swam up alongside — doubtless to start another round of teasing. "Little Hands, whistle!" The sleek, gray cetacean did a barrel roll to Toshio's right, then drew nearer to eye the boy casually. "Whistle us a tune about shipsss and space and going home!" Keepiru's voice, echoing from a complex set of chambers under his skull, rumbled like the groaning of a bassoon. He could just as well have imitated an oboe, or a tenor sax. "Well, Little Hands? Where is your sssong?" Keepiru was making sure the rest of the party could hear. The other fins swam quietly, but Toshio could tell they were listening. He was glad that Hikahi, the leader of the expedition, was far ahead, scouting. It would be far worse if she were here and ordered Keepiru to leave him alone. Nothing Keepiru said could match the shame of being protected like a helpless child. Keepiru rolled lazily, belly up, next to the boy's sled, kicking slow fluke strokes to stay easily abreast of Toshio's machine. In the crystal-clear water of Kithrup, everything seemed strangely refracted. The coral-like peaks of the metal-mounds shimmered as though mountains seen through the haze of a long valley. Drifting yellow tendrils of dangle-weed hung from the surface. Keepiru's gray skin had a phosphorescent sheen, and the needle-sharp teeth in his long, narrow, vee mouth shone with a teasing cruelty that had to be magnified... if not by the water, then by Toshio's own imagination. How could a fin be so mean? "Won't you sing for us, Little Hands? Sing us a song that will buy us all fish-brew when we finally get off this ssso-called planet and find a friendly port! Whistle to make the Dreamers dream of land!" Above the tiny whine of his air-recycler, Toshio's ears buzzed with embarrassment. At any moment, he was sure, Keepiru would stop calling him Little Hands and start using the new nickname he had chosen: "Great Dreamer." It was bad enough to be taunted for having made the mistake of whistling, when accompanying an exploration crew of fins — they had greeted his absentminded melody with razzberries and chittering derision — but to be mockingly addressed by a title almost always reserved for great musicians or humpback whales... it was almost more than he could bear. "I don't feel like singing right now, Keepiru. Why don't you go bother somebody else?" Toshio felt a small sense of victory in managing to keep a quaver out of his voice. To Toshio's relief, Keepiru merely squeaked something high and fast in gutter Trinary, almost Primal Dolphin — that in itself a form of insult. Then the dolphin arched and shot away to surface for air. The water on all sides was bright and blue. Shimmering Kithrupan fish flicked past with scaled backs that faceted the light like drifting, frosted leaves. All around were the various colors and textures of metal. Morning sunshine penetrated the clear, steady sea to glimmer off the peculiar life forms of this strange and inevitably deadly world. Toshio had no eye for the beauty of Kithrup's waters. Hating the planet, the crippled ship that had brought him here, and the fins who were his fellow castaways, he drifted into a poignantly satisfying rehearsal of the scathing retorts he should have said to Keepiru. If you're so good, Keepiru, why don't you whistle us up some vanadium!" Or, "I see no point in wasting a human song on a dolphin audience, Keepiru." In his imagination the remarks were satisfyingly effective. In the real world, Toshio knew, he could never say any such thing. First of all, cetacean vocalizings were legal tender in countless spaceports. And while it was the mournful ballads of the larger cousins, the whales, that brought the real prices, Keepiru's kin could buy intoxicants on a dozen worlds merely by exercising their lungs. Anyway, it would be a mistake to try to pull human rank on any of the crew of the Streaker. Old Hannes Suessi, one of the other six humans aboard, had warned him about that just after they had left Neptune, at the beginning of the voyage. "But the Protocols..." Toshio had started to protest. "Protocols my left eye! Those rules were set up so humans and chimps and fins will act in just the right way when Galactics are around. If the Streak gets stopped by a Soro patrol, or has to ask a Pilan Librarian for data somewhere, then Dr. Metz or Mr. Orley — or even you or I — might have to pretend were in charge... because none of those stuffed-shirt Eatees would give the time of day to a race as young as fins. But the rest of the time we take our orders from Captain Creideiki. "Hell, that'd be hard enough — taking brown from a Soro and pretending you like it because the damned ET is nice enough to admit that humans, at least, are a bit above the level of fruit flies. Can you imagine how hard it would be if we actually had to run this ship? What if we had tried to make dolphins into a nice, well-behaved, slavey client race? Would you have liked that?" At the time Toshio had shaken his head vigorously. The idea of treating fins as clients usually were in the Five Galaxies was repulsive. His best friend, Akki, was a fin. Yet, there were moments like the present, when Toshio wished there were compensations for being the only human boy on a starship crewed mostly by adult dolphins. A starship which wasn't going anywhere at the moment, Toshio reminded himself. The acute resentment of Keepiru's goading was replaced by the more persistent, hollow worry that he might never leave the water world of Kithrup and see home. Toshio looked up. Brookida, the elderly dolphin metallurgist, had come up alongside on the left. Toshio whistled a reply in Trinary. He eased the sled's throttle back. On his sonar screen, Toshio saw tiny echoes converging from far ahead. The scouts returning. He looked up and saw Hist-t and Keepiru playing at the surface. Brookida switched to Anglic. Though somewhat shrill and stuttered, it was still better than Toshio's Trinary, Dolphins, after all, had been modified by generations of genetic engineering to take up human styles, not the other way around. "You've found no t-traces of the needed substances, Toshio?" Brookida asked. Toshio glanced at the molecular sieve. "No, sir. Nothing so far. This water is unbelievably pure, considering the metal content of the planet's crust. Hardly any heavy metal salts." "And nothing on the long ssscan?" "No resonance on the bands I've been checking, though the noise level is awfully high. I'm not sure I'd be able to pick out monopole-saturated nickel, let alone the other stuff we're looking for. It's like trying to find that needle in a haystack." It was a paradox. The planet had metals in superabundance. One reason Captain Creideiki chose this world as a refuge. Yet the water was relatively pure... enough to allow dolphins to swim freely, though some complained of itching, and each would need chelating treatments back on the ship. The explanation lay all around them, in the plants and fishes. Calcium did not make up the bones of Kithrupan life forms. Other metals did. The water was strained and sieved clean by biological filters. As a result, the sea shone all around with the bright colors of metal and oxides of metal. The gleaming dorsal spines of living fish — the silvery seedpods of underwater plants — all contrasted with the mundane green of chlorophyllic leaves and fronds. Dominating the scenery were metal-mounds, giant, spongy islands shaped by millions of generations of coral-like creatures, whose metallo-organic exoskeletons accumulated into huge, flat-topped mountains rising a few meters above the mean water mark. Atop the islands drill-trees grew, sending metal-tipped roots through each mound to harvest organics and silicates, depositing a non-metallic layer on top and creating a cavity underneath. It was a strange pattern. Streaker's onboard Library had offered no explanation. Toshio's instruments detected clumps of pure tin, mounds of chromium fish eggs, coral colonies built from a variety of bronze, but so far no convenient, easily gathered piles of vanadium. No lumps of the special variety of nickel they sought. What they needed was a miracle — one enabling a crew of dolphins, with seven humans and a chimpanzee, to repair the ship and get the hell out of this part of the galaxy before their pursuers caught up with them. At best, they had a few weeks to get away. The alternative was capture by any of a dozen not-entirely-rational ET races. At worst it could mean interstellar war on a scale not seen in a million years. It all made Toshio feel small, helpless, and very young.